ANC NW alliance partners threaten to collapse elections - SABC News - Breaking news, special reports, world, business, sport coverage of all South African current events. Africa's news leader. Minister of State Security Agency, Dipuo Letsatsi-Duba, accused Magashule of tempering with the ANC North West list. 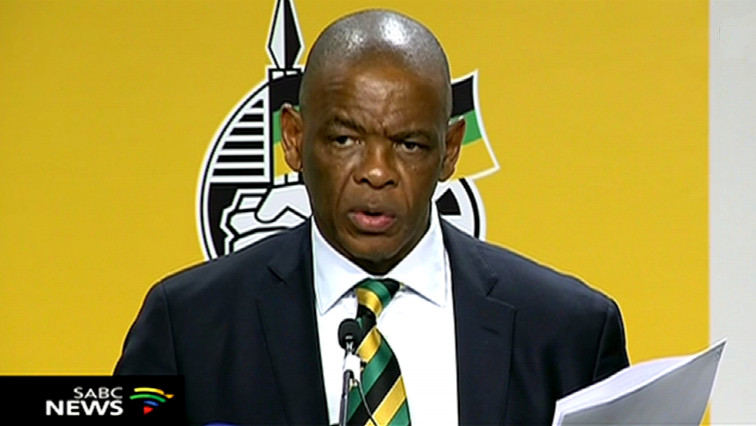 African National Congress (ANC) alliance partners in the North West have threatened to collapse election work if the party does not take General Secretary, Ace Magashule, to task over his alleged tempering of party national and province candidate list. This after Minister of State Security Agency, Dipuo Letsatsi-Duba, accused Magashule of tempering with the list. The controversial list that has turned ANC members against one another contains glaring changes from the initial list submitted to the ANC Secretary General’s office, to this one submitted to the IEC. Alliance partners say the changes are questionable and seem to have elevated those close to Supra Mahumapelo. Secretary of South African National Civic Organisation (Sanco), Packet Seaketso, says that they have raised the manipulated list with the president. Chairperson of Congress of SA Trade Unions (Cosatu), Solly Lekhu, says that the tempering means that branches of the ANC are no longer respected. SA Communist Party (SACP) provincial Secretary, Madoda Sambatha, says the tempering violates the guidelines of the ANC. The ANC announced it will be withdrawing the name of party Women’s League deputy secretary, Bitsa Lenkopane, for having criminal records. Her name was initially at the bottom, but suddenly sprung higher on the final list submitted by Magashule. ANC deployee in the North West, David Mahlobo admits there are problems. Magashule, through the party’s national acting spokesperson, Dakota Legoete, indicated that he would comment at a later stage.